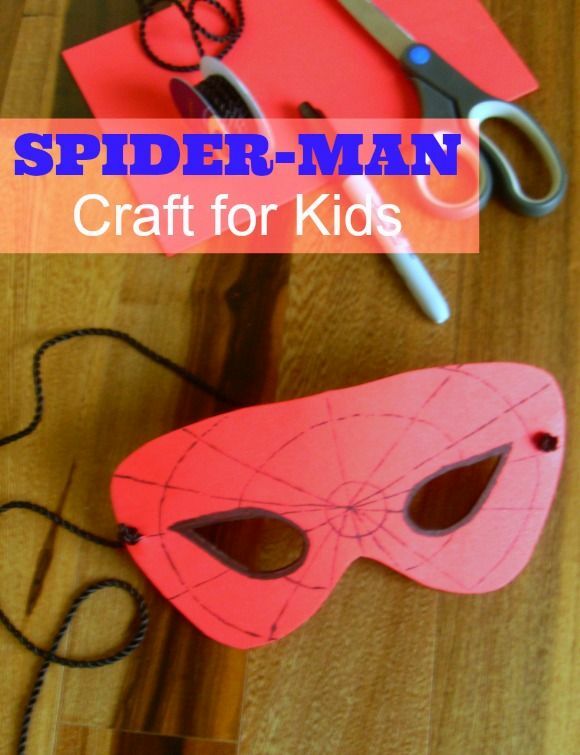 This fun Spider-Man Mask Craft for Kids post contains affiliate links. We only recommend stuff that we’d use ourselves! If you’ve decided to throw a Spider-Man party then you’ve probably already taken a look at our ideas for Spider-Man Party Games for Kids. In between playing these great party games, take some time to have the kids create a fun Spider-Man mask craft! This Spider-Man mask is perfect for kids of all ages, is easy to make and they’ll want to wear it for the remainder of the party. While this example is for a Spider-Man mask craft for kids, you may want to have other colors of foam for children to make masks to represent their favorite super hero or villain. Before the party, take time to cut the craft foam into mask shapes. This can be done easily by folding the foam in half to ensure the mask is the same on both sides. Allow the children to draw on the masks with the markers or to decorate their mask with additional craft foam and glue depending on their super hero choice. Spider-Man was very simple and children can easily draw their own web onto the mask. Carefully use the hole punch to create a hole for the elastic or cording to be attached. Slip a length of cord or elastic through the hole and tie a knot so it will not slip back through. Repeat this step on the other side too. Tie a knot at the other end of the cord to keep it from fraying. That’s it! Each child at the party will have a fun and creative mask to wear during all those fun Spider-Man party games! Isn’t it a cute craft for kids? In addition to this great Spider-Man mask and party games for kids, no party is complete without party food! In addition to a great Spider-Man Cake recipe, consider some of these ideas for snacks and treats. Of course cupcakes and cookies decorated with our hero’s face are a great option but what about Spider-Man face individual pizzas? Use English muffins or bagels for individual pizza crusts and let each child create their own face with fun pizza toppings. Spider-Man deviled eggs are another fun idea. Make your deviled eggs as you normally would but add some red food coloring to the filling. Cut and use black olive pieces to make spiders for the tops of each egg! Bright red berries mixed with blue berries are a colorful and healthy snack that would work perfectly for a Spider-Man Party as well. 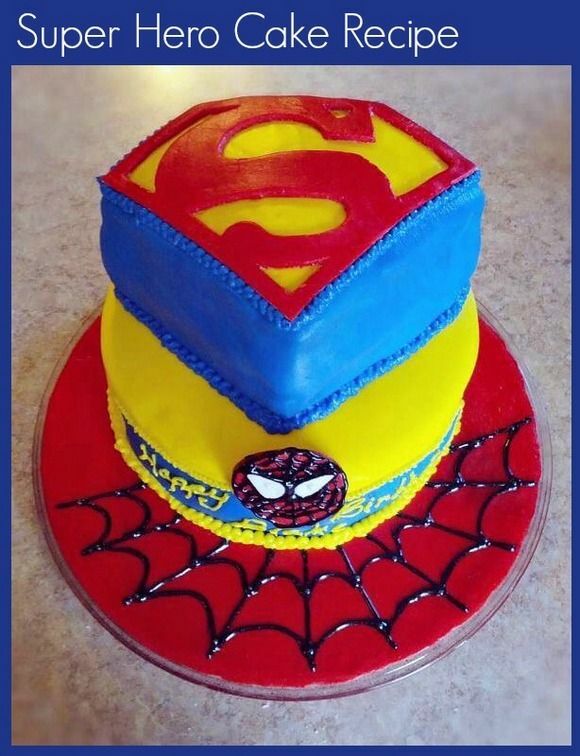 Be sure to check out our Spider-Man Cake for the perfect dessert for your party! Looking for other party ideas suggestions, check out our party ideas section. Don’t miss a single craft for kids, sign up for our WEEKLY NEWSLETTER. I love this! What a fun theme for a party. Making masks is a great idea because it’s simple, gives the kids a chance to be creative, and then they have something to wear during the party! How awesome is that cake! I love it! Any little superhero would want to be at this party! My daughter is such a big Spiderman and superman fan, these crafts seem like such fun! I would love to make them with my daughter. Wow, that cake is amazing. We love making masks at our house. Cute idea! Can’t wait to see the latest movie. That cake is so awesome! I absolutely want one! So cute! I would love it if you joined and contribute your awesome posts at my link party at City of Creative Dreams on Fridays Hope to see you there at City of Creative Dreams Link Party. Oh these are so fun! I bet my kids would get a kick out of making these! I’ll have to pin them for summertime crafts! is designed to be a starter package” covering the essential concerns you’ll have to address as you create ann effective compay strategy. Air, water, minerals, and organic matter are all components of healthy soil. extending ourr homes is deciding what types of extension we need tto take advantage oof on the splace of our lot area. how you maintain your garden. but what can I say… I procrastinate a whole lot and never seem to get anything done.